After having three kids in five years, Katy found herself in a fitness funk. Being a busy mom, she had neglected to take care of herself and reached a point where she craved a change. With support and encouragement from her friends and O2 Fuquay Varina team members, Katy has lost over 30 pounds and gained a new appreciation for the power of healthy habits. I saw a photo of myself and was stunned. I knew I hadn't been focusing on my health in a long time, or myself at all for that matter, but that image really haunted me. I looked miserable. I had three kids in five years and I was ready to take back ME. I also started following only positive, real people on Instagram around the same time. Everyday I made sure I was reading and hearing a message of health and happiness, not just weight loss. I unfollowed anyone who did not make me feel amazing and who didn't boost me up. 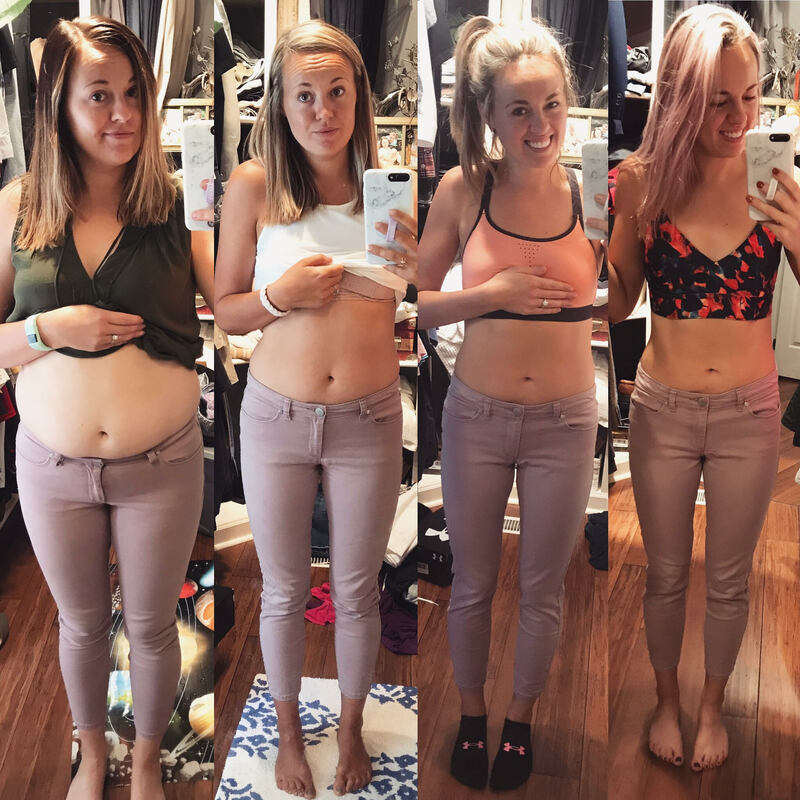 I started joining a friend at the gym at least five days a week and just followed her around and did what she did. She saved me from digging deeper into the self-hatred hole I had been in for years. I needed to change my diet, too, but not by 'dieting' because I knew I had tried all the things a million times and never stuck to it. I needed to rewire my brain and habits to adapt a healthy lifestyle, so I used a nutritionist's meal plan for thirty days to figure out what healthy eating meant. The program did all the work for me, gave me a grocery list and three meals and two snacks every day so I could simply open my phone and see what I should eat. I believed in myself. I didn't expect to fail, again. I didn't expect perfection, either. I realized I wanted to eat well and move my body each day because I wanted to learn to love myself, not because I hated myself. I feel this is the most misconstrued thing in fitness when you're first entering this world. I don't do anything differently today than I did on day one. I lift heavier or do more reps, but I'm doing the same exercises I started with. I remember thinking that 'those girls' must be doing something special to look the way they did, but it was just time. So maintenance is continuing to eat whole foods that make me feel good and getting to the gym five days a week to lift heavy things! This gym has become my home! The girls at the front desk are my friends, the sweetest humans alive that watch my kids in childcare are my friends, the other members on the floor are my friends. Any gym is intimidating when you first walk in because you have no idea what you're doing, but I think O2 does a good job of making everyone feel welcome and as comfortable as possible. Also, another shout out to childcare. Whew. Everything? I've learned we all start off as beginners. I've grown so much and in every area of my life, not just my fitness level. I guess the biggest thing I've learned is habit is powerful and you need to take a true look at yourself before you can change. I wrote a letter to myself recently if I could go back and talk to younger me. "At the gym, I feel my best. It's my place. It centers me. I plan my day around it. I prioritize it at the (almost) very top of my list. I wish I could go back and tell my fifteen, twenty, twenty-five year old self that there's no secret. There's no magic. Those girls aren't different than you. You just need to work, and keep working even when it feels like you're not getting anywhere. Every day choose foods that make you feel good and bright and alive, stop sitting on the couch and mindlessly eating, and move your body with intention for an hour. Stop wallowing that you'll never look like that girl, and focus on how you really feel. You're using food to drown out that negative emotion, which just leads to feeling worse as soon as that last bite is swallowed. Build new habits to deal with your feelings, like putting your phone in a drawer and actually sitting down with your kids, or if it's before kids, go for a walk or call a friend or LEAN ON YOUR DANG HUSBAND and talk about those emotions. You don't have to stay in your head and beat yourself up and be miserable and so disappointed. Take control. Do it when it's hard. Do it when you don't feel like it. Make promises to yourself that you can KEEP, and once you actually believe in yourself you'll push past limits you never thought possible. You'll be so strong at the weight rack and in your mind. Just love yourself enough to change. Do the tiniest things each day to impress YOURSELF. No one else. Be proud of your choices. 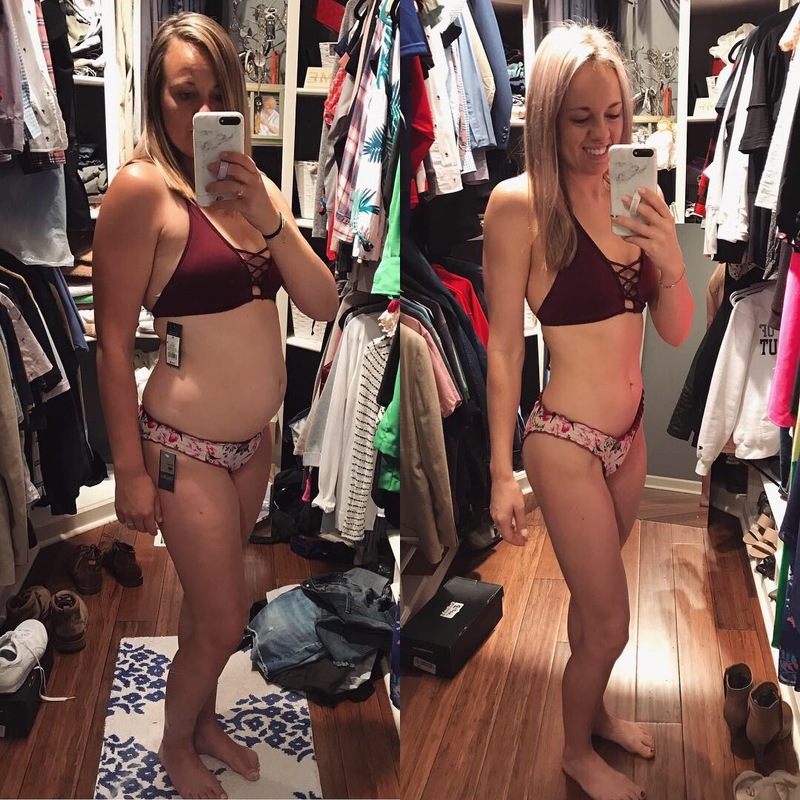 Exercise and whole foods changed my body, but the inner transformation is so much more incredible."